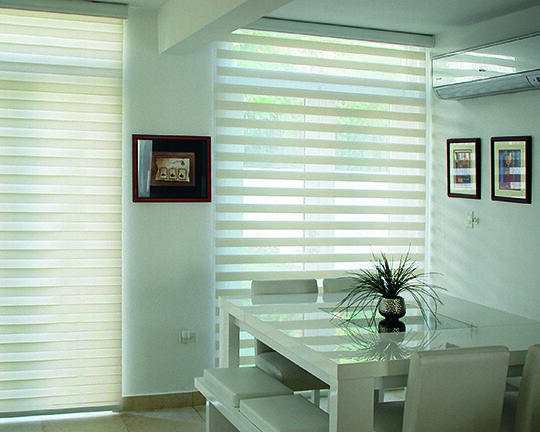 Zebra Neolux sheer shades, also known as transitional shades, are a modern choice as they create privacy along with proper lighting. 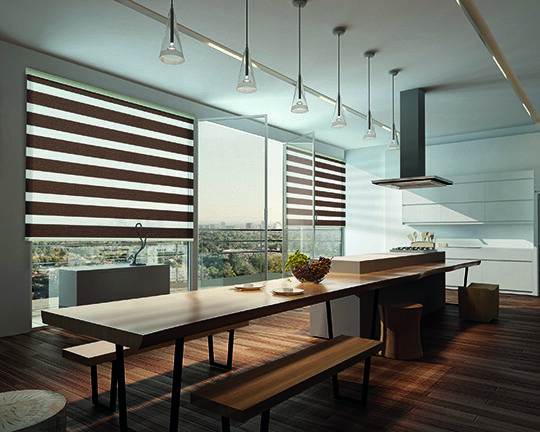 Adjustable, alternating sheer and solid stripes allow total light control and operate just as a classic roller shade would. 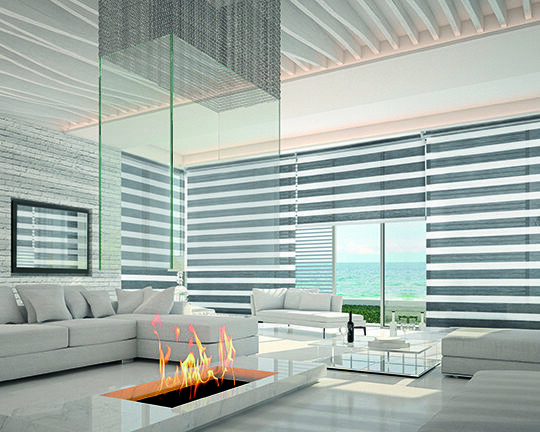 Shades By Design’s Zebra Neolux shades are available in different fabrics and designs, from sheer metallic to a more subtle, natural look – the perfect choice for any room in your home.